It’s February again which means that we get to find out if there is going to be six more weeks of winter, who wins the Super bowl and if we’re going to have a date on Valentine’s Day. What most people don’t know about February is that it is Teen Dating Violence Awareness Month. Many people are unaware about how common teen dating violence is but every one in three teens will experience physical, verbal or emotional abuse in a dating relationship, and just like in any relationship you need to be aware of the warning signs. Know what your standards and boundaries are for your relationship before you enter into it and set the standards high for yourself so that you can spot the red flags when they first happen. When entering into a relationship it is very important to have open communication about your expectations and standards so that each of you can be on the same page. Make sure you not only pay attention to how they treat you but also how they treat friends and people they interact with—odds are this is what their personality is really like. If you are a parent of a teen in a relationship, get involved. Open communication about their relationship or the person they are dating will help you and your child determine if they are in a healthy relationship. It might sound impossible to have open communication with your teenager but just showing interest in this area of their life will help them know that they can come to you when something is going on. Every three out of four parents have not had this conversation with their child, but it is always better to talk about it in order to prevent relationship violence. 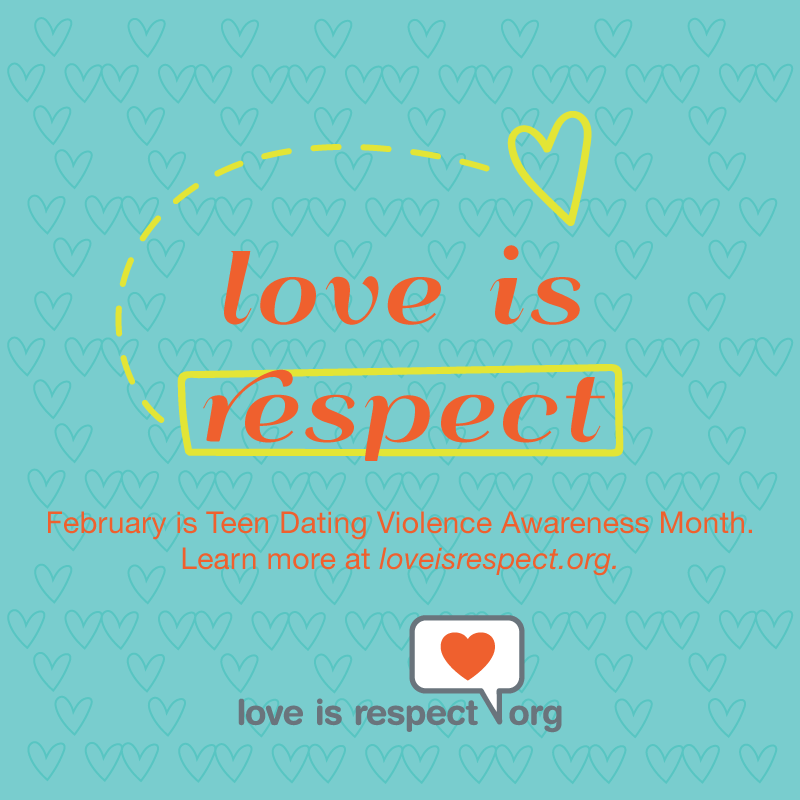 Love Is Respect – A website for more information about teen dating violence. Break The Cycle – A guide on how to start the conversation about teen dating violence. Project HART – Our prevention education program that teaches teens about healthy relationships.